The French group Phoenix draw elements from their eclectic '80s upbringing to arrive at a satisfying synthesis of rock and synthesizers. Vocalist Thomas Mars, bassist Deck d'Arcy, and guitarist Christian Mazzalai were a garage band based out of Mars' house in the suburbs of Paris. Mazzalai's older brother Branco joined the band on guitar when his band Darlin' disbanded in 1995. The group got its touring start on the French bar circuit doing Hank Williams and Prince covers to drunken audiences. Two years later the band took on the name Phoenix and pressed 500 copies of a single on its own label, Ghettoblaster. The A-side was a punk rock song and the other a chugging Krautrocker, hinting at their eclectic tastes. Shortly after, they were signed to the Paris-based Source Records. 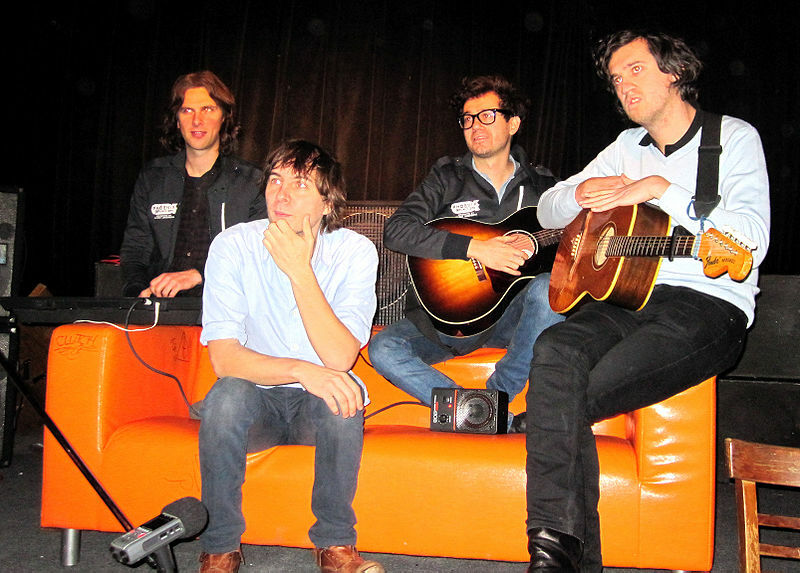 Phoenix became well acquainted with labelmates Air when they acted as their backing band on several U.K. TV appearances. The result of the electronic exposure was a single called "Heatwave," which was very similar in approach to '70s disco.